Depending on who you ask, you may get two very different answers to the question. While, François Viète is credited with creating modern algebra, i.e. algebra as we know it today, there were three other notable mathematicians without whom algebra, in any form, would not exist. These three mathematicians were Muhammad Al-Khwarizmi, Brahmagupta, and Diophantus. All of whom are considered as the fathers of algebra. The debate is ongoing on who should be titled as the Father of Algebra. There are two strong contenders: Muhammad Al-Khwarizmi and Diophantus. The school of thought is divided between the two and each has its own long list of supporters. Diophantus was traditionally considered to be the Father of Algebra, however his title is now being contested by Muhammad Al-Khwarizmi. Diophantus had written a series of books called Arithmetica, all dealing with solving algebraic equations. However, many of these books are now lost. These books, at least the ones that survived had a profound influence on the development of algebra in the late sixteenth and through the 17th and 18th centuries in Europe. Diophantus and his works also had a great influence on Arab mathematics and mathematicians. It can be said that Diophantus' work created a foundation for work on algebra and much of advanced mathematics is based on algebra. However, while the importance of Diophantus' work is not disputed, many critics claim that many of the theories that he used to solve linear and quadratic equations date back to Babylonian mathematics. Hence, they claim that he does not necessarily deserve the title of the father of algebra. Proponents of Muhammad Al-Khwarizmi cite his various contributions to algebra as the basis for his right to the title of the father of algebra. In fact, the word ‘algebra’ actually comes from the word ‘al –jabr’, which is one of the two operations he used to solve quadratic equations. Additionally, he is credited with introducing the decimal positional number system to the Western world in the 12th century, via Latin translations of his work. He made numerous contributions to mathematics, geography, astronomy, and cartography. His contributions established the basis for innovation in algebra and trigonometry. His systematic approach to solving linear and quadratic equations is often credited as setting up the basis for algebra. 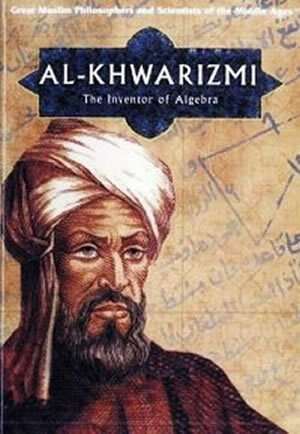 Even though Diophantus' work predates Al-Khwarizmi’s, it is claimed that Al-Khwarizmi’s work had more prominence within the field of algebra. Hence, many claim that the title Father of Algebra rightfully belongs to Muhammad Al-Khwarizmi.